Since God has found me, what have I been doing with my “foundness”? What would you buy with your birthday money? I might buy an iTunes giftcard. Or scarves. Or more science and documentary movies. Or a neck pillow. Or something cute from Etsy. Or jellybeans. I wouldn’t by a vase for rice. That wouldn’t even cross my mind. I don’t like rice that much. I have a pantry and fridge of stuff I do like–plenty of it. Meat, cheese, bread, cheese, cereal, cheese, veggies, cheese, fruit . . and I think I have some cheese, too. For me, birthday money is about what I want, not about what my family needs to survive. I don’t have to worry about bugs or moisture getting into my food. I think life is bad when my back hurts or I have to get the oil filters in my car replaced. I would be dejected if I had to spend my birthday money on some kind of necessity. But for one 11-year-old girl in India, dejected wasn’t at all the tone of her thank-you letter to me for birthday money. She explained how my little gift had bought her family a container to hold their rice so it wouldn’t spoil. She sent “heartfelt thanks” and “loving thanks and love once again” and just to make sure she got the point across, closed “with loving thanks”. It makes me wonder . . how much the world would change . . if everyone spent their money as selflessly as this 11-year-old girl in India. If God is stirring your heart to help a child, you can sponsor a child and share the love of Jesus Christ through Compassion International today. Click here to sponsor a child from India. Or here to sponsor a child from anywhere in the world. 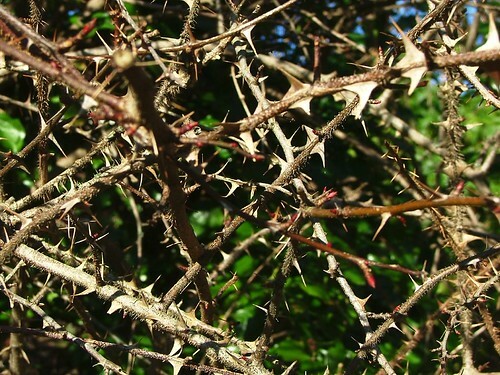 Thorns are a part of the curse on the earth resulting from Adam’s sin, and Christ wore a crown of thorns when He died on the cross. In the moments of His trial, ridicule, and persecution, Christ offered his body, mind, and soul to receive the curse for us. And on the cross, when the Bible tells us He was not even recognizable as a human–something no picture or movie can ever portray–Christ was opening His hands to invite the curse we deserved onto Himself. Then God said to the man, “You listened to what your wife said, and you ate fruit from the tree from which I commanded you not to eat. and you will have to work very hard for your food. If we have ever loved, we know God exists. If we have ever loved, we know God exists. And that is one reason why we are without excuse if we say there is not enough evidence for God. As we need no evidence for love, even more so we need no evidence for God. Peter was a follower of a man named Jesus. Jesus represented everything Peter hoped for in the Messiah. Jesus performed miracles, He spoke with great power, He revealed the hidden nature of people, and He loved people with a love no one had seen before . . . except there was one thing more Peter hoped for in a Messiah: kingship. Peter thought Jesus lacked one thing: taking back their nation from the oppressive, radically immoral, foreign-nation government. And because Peter thought Jesus was lacking in something, he failed to see God’s plan. And because he failed to see God’s plan, he abandoned Jesus when He needed friends the most. Jesus proved that He could live without sin without any friends. The question is, can we live without Jesus? Without the intervention of Jesus in prayer and the words He gave Peter before Peter abandoned Him, I think Peter would have committed suicide. When we think Jesus is lacking, we are the ones who go without. We lose touch that He is God, and He is the Upholder, not us. Good News Translation: Scripture taken from the Good News Translation in Today’s English Version- Second Edition Copyright © 1992 by American Bible Society. Used by Permission. Tags: Can God let me down?, Can I be disappointed with God?, Is God what I expect?, Is God what I make Him to be?, Who is God, Who is Jesus?, Who's falling short?, Who's lacking? I know the Man upstairs! His Name is Jesus! 14 years ago, I traveled to Hungary with a group of teens for 3 weeks. It quickly became one of the worst experiences of my life. In a way, it was actually harder than my father dying because I had no one who loved me around me. I was poorly fed, I became sick, fatigued, and I rapidly lost weight. I injured my back and I’ve never fully recovered from it. If it had only been that stuff. I was attacked, belittled, devalued, isolated, scorned. I felt so worthless I just . . I didn’t know what to do, so I kept going. My posture, my body language, and my social skills began to aggressively reflect how little I thought of myself—and people picked up on it. The details are humiliating. I kowtowed to the teens in my group, longing for acceptance that seemed to keep fading further and further into the distance. It wasn’t everybody who treated me bad. And I was very sensitive. And I had bad social skills. This isn’t about condemning the teens in my group. I pray God’s grace over their lives. Just now. For the first time. The scar I got from that trip is deep. I was so often embarrassed and felt so worthless that I had to cover who I was with a faker and faker self. Even so, I got to a point I have never been where I could start sobbing at the drop of a hat on a bus, in a church, in the middle of the night, and not be able to stop. It didn’t even take the drop of a hat. I told everyone I was homesick (and myself) to cover. Not homesick. Humiliated. I felt like a stray dog. Only uglier. There were two things, two things that meant hope in my life: phone calls and food. God did not mean hope in my life. Just phone calls and food. I did not talk to God, but I talked at God. The thought—somehow–became comforting. Like—the battle was over. I’d lost. No matter. In that time, in that misery, for me there wasn’t going to be eternity. There was just right here that went on forever. If God didn’t love me right here, why would I want to see Him in eternity? I was numb, dull. Shut off. Fake. Grinning, now bawling. Grinning, now bawling. Pariah. Trash. Not worth God’s attention. Not worth anybody’s attention. There was the phone calls. There was the tiramisu. The twenty-year-olds in the group threatened to guard our phone calls. I got that we were not to tell bad things. I was scared. So scared. I was afraid for them to see me call. I was afraid to talk on the phone. But I desperately, desperately needed to hear my mother’s voice. Desperately, desperately, desperately, desperately. I can still remember the phones in the student campus we stayed. 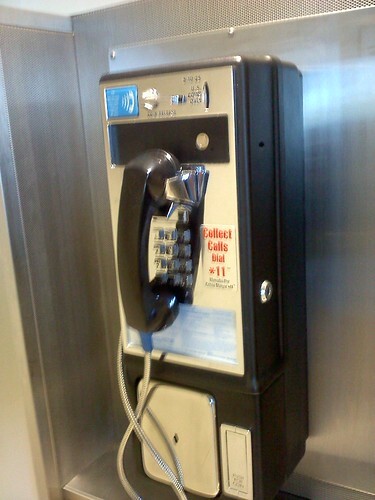 They were pay phones, old fashioned pay phones. They were in the middle of the lobby. Everybody could see. I was so afraid. And then there was the overweight man in probably his fifties who worked there. You know, I never realized until just now why I always wanted to date an overweight guy with a belly. Funny–now I get it. That’s how powerful he was in my life. I was making that phone call, daring to call home. And I began sobbing uncontrollably. Sobbing, sobbing. Hysterically. And suddenly, he was out, out in my world. I’d seen him before, but he didn’t matter to me. He was just the guy behind the desk. But suddenly, he was my connection to home. It wasn’t like he dignifiededly beckoned me in his world. Oh no. He came out to me, gestured big, and he begged me to come behind the glass wall that separated me from him. He begged me to come to his office. I will never forget the feeling of standing in the room behind the glass. I will never forget it. It was my harbor. The waves couldn’t get through. And he loved me. He absolutely loved me. He absolutely, undeniably loved me. We couldn’t speak to each other, but I knew this—he wanted to help. Oh no way—it wasn’t that he wanted to help. He was frantic to help. He pointed to his phone. His office phone. He and his office mate shielded me from the lobby, their backs to the door, and all of the sudden . . There was not a blessed thing or an unblessed thing or any other kind of thing that the leaders, especially the one who so hated me (in my eyes), could do. I was in that office for safekeeping. I could make my phone call. I could say whatever I wanted to say to my mother. I was free, and I was safe. There is no more I could ever ask. Oh, wait. But there was more. I was loved. You know, I was so vulnerable that day, and every day after I went to that office. If that man had tried to misuse me, I can tell you he could have. But he didn’t. In no way. He wanted no harm for me, and it wasn’t about me giving him something. It was about him sheltering me. A true shelter. He never touched me—it wouldn’t have crossed his mind. All he ever did was give me free access to his phone, access I could never ever pay him back for. And then there was the tiramisu. I finally got so sick, that the leader (the one I felt hated me) took me to the doctor. She seemed disgusted to do so. I was wasting her time. In order to take me to the doctor, she had to take along a translator. And in walked the tiramisu. I was not looking forward to spending the day with my leader. Yes, I had wanted to go to the doctor. But a whole day alone with her? I had been allowed to spend the day before in bed—what a precious relief. I had been allowed, but I knew that was it. No more. I would have to get up and work from then on. How on earth. I followed her and she did not seem happy. This was going to be ridiculous. This was going to be awful. Already, a day or so before I’d asked her about the doctor and she’d scorned me. I felt like trash to her. Now I was traveling trash. And we were alone. I wasn’t afraid she was going to hurt me. I was afraid that she was going to scorn me long enough that I was going to fall into shreds right before her eyes, and no one would care to carry those shreds back home so I could see my family again. Somebody had packed sandwiches for us and they were weird. I think they were for breakfast. But weird or not, I was hungry. We got on the bus. And we were joined by a translator. And I don’t know why. And I don’t know why. And I don’t know why. He was a translator. He translated how I felt and he understood at least some of it, because he showered me with compassion. He told me I was brave and he repeated it. The doctor gave me antibiotics. I drank out of a cup to take my first one that I thought was clean. I found out it was a cup another patient had drank out of. Really, I didn’t care much. After we got my antibiotics, we went to a mall. We ate lunch. I got a good lunch. I can’t even tell you what it was. All I remember was the translator walking off with a purpose. He came back with a cup of tiramisu. 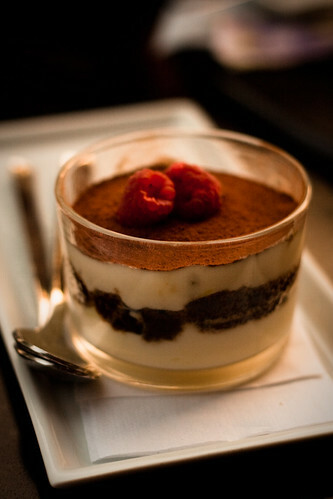 As I said, he got me a cup of tiramisu. From a KFC in Hungary, actually. I’d never had tiramisu. I didn’t even like coffee. On that trip though, I learned something about being hungry, really hungry. Food is good. 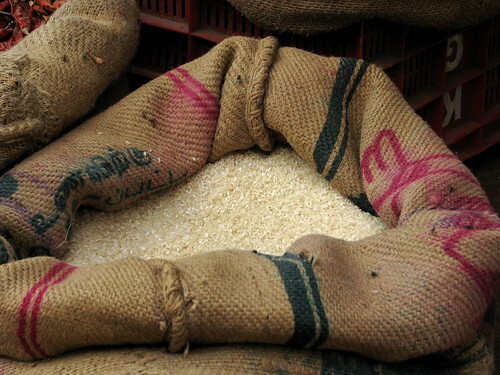 The body stops discriminating the way it does when you are full or know food is in plenteous supply. And I discovered something. Picture this, if you will: I stood at a high barstool table with the leader who seemed to hate me the translator walked up and gave me the tiramisu for being brave. Can you imagine how she felt? Now picture this: I stood at a high barstool table eating a dessert in front of my enemy. It wasn’t about me having it and her not having it (although, yes, I thought about that). It was about that I had been honored. Honored. Honored trash. Nothing I have ever eaten has ever tasted better on a spoon. Two things, two things I took back good from my trip. Phone calls and tiramisu. But it wasn’t phone calls and tiramisu. It was value and honor. I left Hungary feeling like a dumpster. I had hate, anger, bitterness, and a real longing for vengeance. I had grief, depression, anxiety, and timidity. And I stamped myself with worthless, unbeautiful, fake, stupid, and a big old black hole of waste. And there was another stamp I gave myself: God made me this way. And: because He hates me. And: God has favorites—and I’m not one of them. And: God has least favorites—and here lies my name. I wanted to leave God in Hungary. And herein lies the wild irony of this tale. —were such vivid, astonishing, unmistakable allegories of Christ that I couldn’t have done better if I’d made them up out of thin air. And what is tragic and absolutely incredible is that I didn’t even know they were revealing to me a little glimpse of the nature of Christ. I would love to share more about these men and how God, in all His wisdom, tried to lead me to Him through them. I hope to share more in blogs to come. But first, I have to address what I just said. Yes, I did say tried. Did I just say, God tried? What do I mean? How can God try at anything? Am I saying God can fail? Never. God tried and when God tries anything, He is perfect. God can’t fail. But we can fail. I think it’s jaw-dropping to realize God places Himself in our lives, draws us to Him, and lets us—lets us—fail to respond, if we want. The man inside the lobby didn’t force me at gunpoint into his office. How would that have changed the story? And the translator didn’t force my mouth open and stuff tiramasu inside. I wouldn’t be ordering the dessert today if he did, I can tell you that. Amazingly, incredibly, God doesn’t make us respond to Him. God tried to catch my attention, draw my love, through value and honor. And I failed to see. I totally did not see. I idolized the two men who helped me, and that was that. Would you believe, could you believe, that God would do something neither of those men could have, or would have done? That man in the lobby was kind, but if I had refused to enter the protection of his office, I don’t think he would have asked me again. But what if he had kept asking me for 12 years? And the translator. He was so compassionate. But if I had pushed away the tiramisu he offered, would he have given me another chance the next day? Would he have kept offering his free gift to me for 12 years? Who could have the will, or the grit, or the love to do that? The same God who sends a hotel clerk and a translator to a teenager He knows will have no acknowledgement or appreciation of Him sending them. That is phone call love. That is the love of a God who breaks His body on a cross for the people who mock Him, spit on Him, and hit Him with their fists. –the love only God can own. God’s grace is the ultimate leveler.